LED Square Heat Sink L90xW92xH30mm/L90xW92xH50mm; Design for Hibay,floodlight and street light,4200-6500lm; Rth1.0°C/w~1.5°C/w; Suitable for 30w/32w/35w/40w/42w/45w; Without hole or custom mounting holes for Zhaga book 3 LED modules; standard finish-Black anodized. 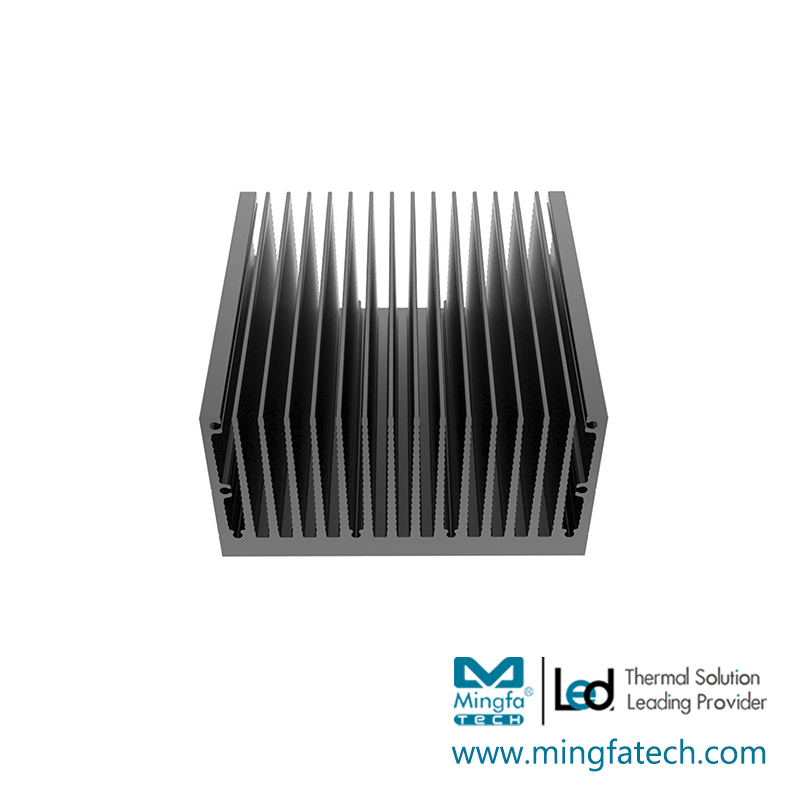 MINGFA's led heat sink has excellent performances by virtue of the following excellent details.led heat sink produced by MINGFA have stable performance and flexible installation. Besides, they are efficient, solid and durable and can be applied in many situations. Compared with similar products, they are more cost-effective and attract many customers to purchase.MINGFA provides diversified choices for customers. 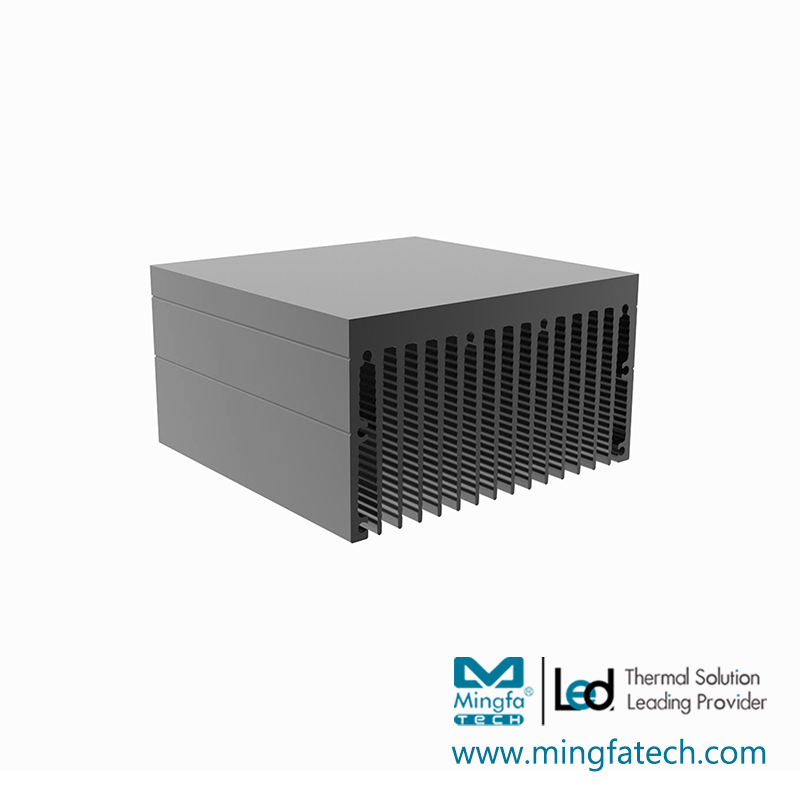 led heat sink is available in a wide range of types and styles, in good quality and in reasonable price. MINGFA's led light housing is manufactured in strict accordance with relevant national standards. Every detail matters in the production. Strict cost control promotes the production of high-quality and priced-low product. Such a product is up to customers' needs for a highly cost-effective product.MINGFA has a scientific and perfect procurement chain. To guarantee the quality from the source, we always adhere to the selection of high-quality materials to produce all kinds of led heat sink. They are highly safe that have passed the national compulsory certification. We provide a worry-free buying experience for customers.Compared with other products in the same category, led light housing has outstanding advantages which are mainly reflected in the following points. 1. MingfaTech Manufacturing Limited is an integrated and comprehensive supplier with international competitiveness in the fields of . 2. MingfaTech Manufacturing Limited has advanced processing technology and perfect product quality management system. 3. The purpose of MingfaTech Manufacturing Limited is to strengthen its technical strength and become an expert in the field of . Contact us!